So, I’m on a cauliflower kick and thanks to @thecrunchyradish, I was able to try out a new way of enjoying this versatile vegetable (it’s worth checking out my mock buffalo wings). 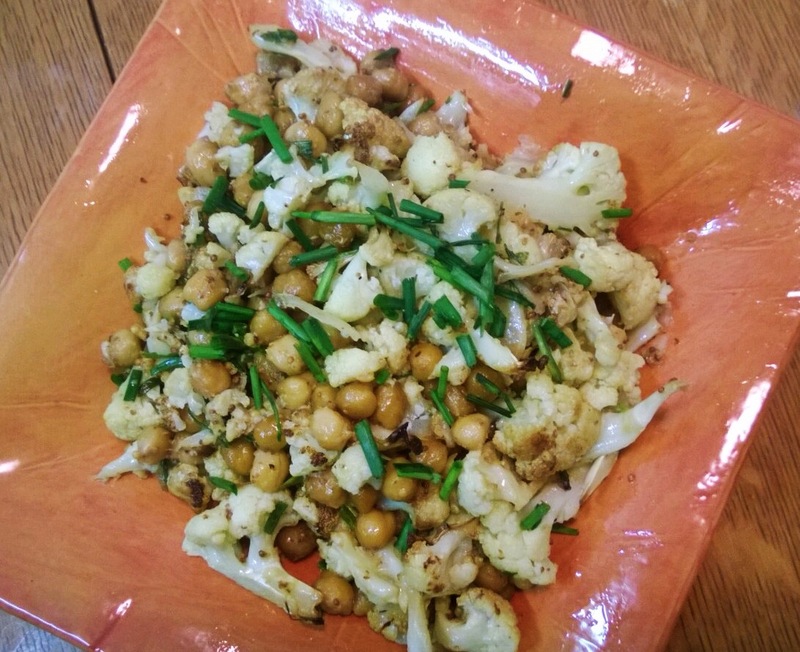 Full of crunch and fiber from the roasted garbanzo beans, the starchiness of this legume pairs perfectly with roasted cauliflower! I finished it off by adding in a light mustard vinaigrette for a powerful and flavorful touch, which happens to pair just right with the chives (my quintessential ingredient to completing any dish). This recipe will have your mouth watering before you even dig in!